This is the dramatic interior structure of the astronomical clock tower of Prague's town hall. Dating from 1338 it was effectively rebuilt after being badly damaged in WWII. 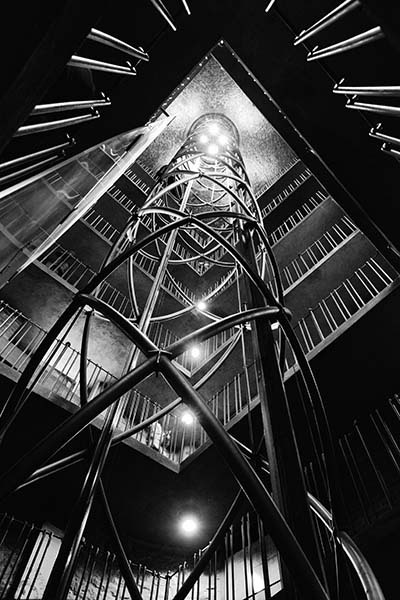 The open metal structure that you can see running up the centre of the tower is the shaft for a glass sided lift.